The Web Viewers license allows uploading more boards to the Shape3d Warehouse, keeping the uploaded boards private, and using the 3D viewers on your own website. We also provide the ultimate service to sell custom boards on your website! 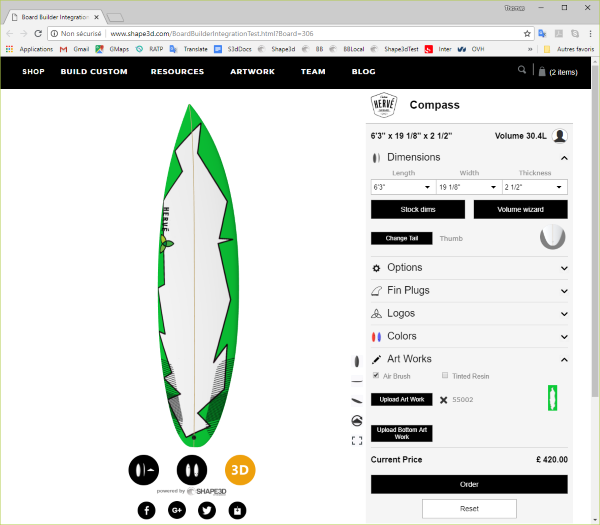 The Shape3d Board Builder is a web service that will allow your customers to customize their boards on your website: length, width, thickness, fin system, logos’ position, art work… And watch the board in 3D before ordering it..